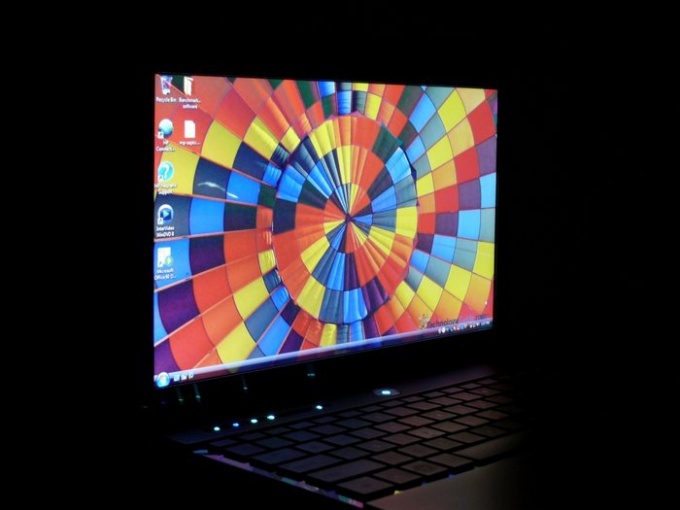 When working on a laptop there is often a need to improve its brightness. For example, on a Sunny day on the street – to enhance the clarity of the image. But do not forget that the increase in the brightness of the screen always leads to an increase in electricity consumption, and thereby significantly reduces the operating time of the laptop battery. To increase the brightness of the screen, click the "start" button, then click the "control Panel, "System and security" and finally "power". At the bottom of the screen you will see a option "screen Brightness", you must move the slider next to it, in the right and comfortable position for you. This will automatically change the brightness. It may happen that the computer does not support the format settings of the monitor (or they were outdated), therefore, you need to update the drivers. Usually they are supplied on disk when purchasing the laptop, or they can be downloaded from the website of the manufacturer. Read the keyboard and look in the lower left corner Fn key, and in a row located above the row of numbers, F1, F2, F3, etc. On any of these F-key there is an image of the sun with a down arrow and a up arrow. In some models instead of the sun could be a lamp, instead of arrows and signs + and -. Hold down simultaneously the Fn key and key with a picture and proper arrow – the brightness on your laptop display should switch in the desired direction. You should note that many laptopx is initially set to the different settings of brightness when working on battery and plugged in. This is done in order to shut down the network to automatically turn on the eco mode. If you are not satisfied with these settings, you can set them the way you want. To do this, click "start", then click the sections "control Panel," "System and security, then power options. Under "Select a power plan" you will find a scheme that you want to change click "change plan settings". On the next page, near the section "screen Dimming" is selected, change the time interval for parameters From the network" and "on battery" and save the changes. As described above, you will put the same values when working on battery and plugged in and then when you change these modes, the brightness of the monitor will remain the same.